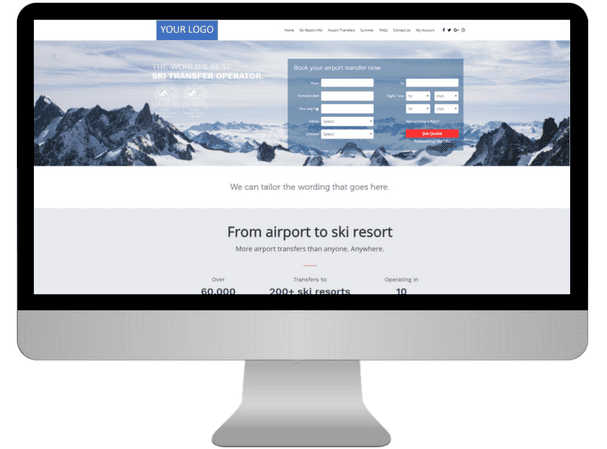 Join the Ski-Lifts affiliate program today and monetise your website traffic by referring sales to Ski-Lifts. Ski-Lifts.com was founded in 2003, providing airport transfers from Geneva Airport to Morzine, Avoriaz and Les Gets in its own fleet of minibuses. We now provide transfers to over 200 resorts in 14 countries from 30+ airports across the Alps to resorts such as; Chamonix, Tignes, Val d’Isere, Val Thorens and more, transfers to Bansko and other Eastern European resorts and even as far as Beaver Creek, Breckenridge, Keystone, Vail and other North America resorts. We’ve won the award from the World Ski Awards for the ‘Best Ski Transfer Operator’ in 2015, 2016 & 2017. Through a unique combination of our own operational experience of the industry and our close partnerships with ski transfer operators, we have developed a thorough understanding of the market and the needs of our customers. Enabling us to build an unbeatable product offering, built upon four fundamental principles: Reliability, Safety, Value for Money & Customer Satisfaction. Why Should I Promote Ski-Lifts? Ski-Lifts operates in 14 countries across Europe and North America. We transferred over 60,000 passengers last season to over 200 destinations. We have been voted the ‘World’s Best Ski Transfer Operator’ in 2015, 2016 & 2017′. Our Trust Pilot rating stands at 9.1/10. We have an in-house customer service team available for 24/7 support all year round for urgent transfer enquiries. We aim to get the best possible price for our customers with our trusted transfer operators. We have a range of transfers available across multiple destinations, including; shared, scheduled, private, private and executive. Our drivers are checked and vetted, ensuring our customers get to their destination safely. Why become an affiliate directly through Ski-Lifts? If you’re an organisation involved in the ski industry, we feel our direct affiliate programme is perfect for you. 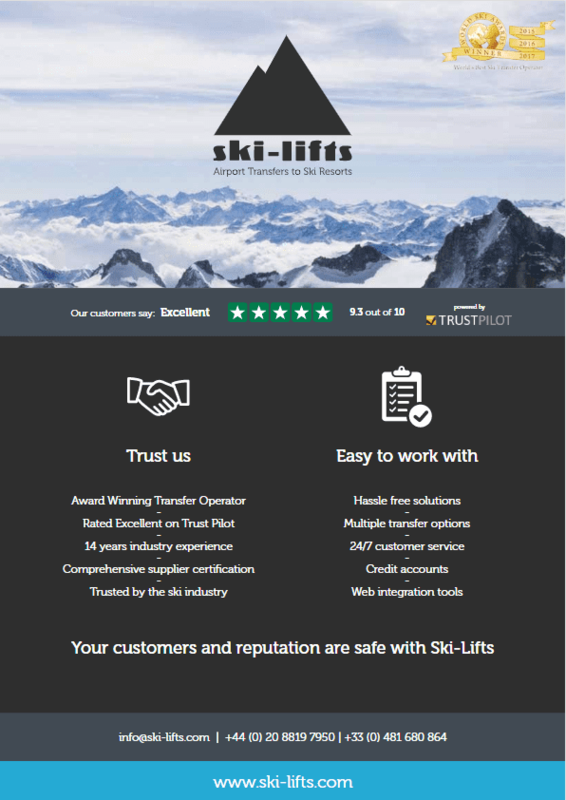 Enjoy a direct relationship with the team here at Ski-Lifts, with your own account manager here to help you every step of the way. We’ll set up your own branded bookings page, which records all bookings made for commission purposes. It’s easy to add this page to your own website and to send a link to the page to your guests via email. Our customisable widgets are easy to add to your website. They give your website visitors and potential guests the ability to quickly and easily search for a transfer without leaving your website. Our API gives a live summary of transfer prices on your website. You can use this for dynamic packaging or to incorporate airport transfer bookings into your own booking process. Why become an affiliate through Affiliate Future? If you’re a business who is set up for working through affiliate networks, then you have the option to sign up for our affiliate program through Affiliate Future.